I am not an academic. I dropped out of university after my first semester to deal with some health issues at the time and never went back to obtain my degree. Sometimes it is one of my biggest regrets. I wonder how am I going to help others, how will I fulfill my purpose in this world without furthering my education. I regularly debate with myself the notion of someday soon returning to the classroom to finish off what I started some 20 years ago. Without that official piece of paper, I often question my own validity as an “expert” in the health and wellness industry. The Association for Size Diversity and Health (ASDAH) and the Health At Every Size® (HAES) community are a tremendous support to my work. This blog piece is not meant to minimize the education and research efforts that, for many here, are their life’s work. In fact, their viewpoint can continually affirm for me why I am a part of this movement and why I work and live from a weight-neutral paradigm. It is that evidence-based perspective that gives clout to my message when I am being challenged by clients, family, and friends who argue for mainstream ideology. And I am so grateful for the researchers, the academics, who have given a legitimate voice to the HAES movement by way of their studies and findings. However, with the predominant focus on showing the data, I believe there is an underlying conundrum. There is an inherent privilege that comes with a higher education – one that lets the formally educated speak and be heard from a podium of “expert”. But are other voices being inadvertently silenced in the quest to provide the scientific evidence for HAES practices? I occasionally read the research papers and the consequent exchange of emails that show up on the ASDAH listserve. When I do, there are moments I find myself confused and overwhelmed by the results and the technical jargon. Maybe it is a case of information overload! What is there left to offer when a HAES champion does not have the skillsets to interpret and communicate the data in a way that makes sense to them and their outside audience? For me, it is in these moments of frustration and overwhelmingness that I turn to the spirit, the essence, of HAES. Holistic…healing…social connections…experiences…social justice… For me, these words get to the heart of the matter of why I am here, why I am a part of this wonderful community of HAES allies. And yet, these profound words are not easily measured or quantified. Ultimately, it comes down to me knowing, in the deepest center of my being, the HAES message to be true. I recently attended a workshop on Yoga Nidra with Richard Miller, PhD. Yoga Nidra, as I understand it, is a form of meditation and guiding the self into an awakened, yet relaxed, internal awareness. In the workshop, Dr. Miller discussed the research and the evidence that suggests a consistent Yoga Nidra practice can be successful in treating a multitude of issues and traumas. It was all very fascinating! But it was not what kept my intrigue. Instead, it was my personal experience with the practice itself that got my attention, had me wanting to engage with it further and share the practice with others. The devastating and frustrating realization that HAES falls short on supporting the intersections of living in an oppressed body while also on the margins of race, socio-economic status, ability, gender identity, sexuality, etc. So, while the data are substantiating and necessary, we need to make space for the many voices and their stories. The person-by-person experiences are the relatable truths that bring a human and heartfelt element to the movement. It is the stories that speak to the spirit of HAES and will continue to keep us moving forward in service. Let us never lose sight of the impact of those stories. Michelle Pitman is the founder and head coach at Define Me, where clients are encouraged to find their own path to personal health and wellbeing. 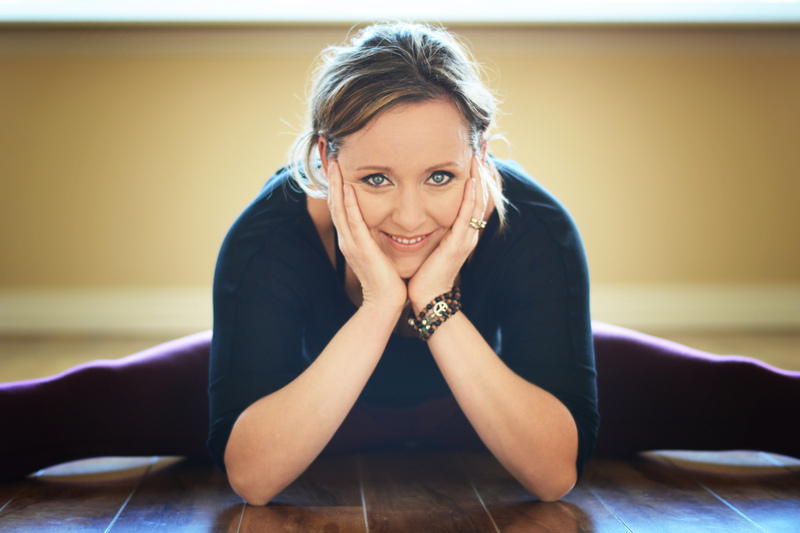 Using her 10-plus years of corporate management experience, certifications in personal training and a RYT-200 hour yoga instructor designation, Michelle teaches weekly classes at a local studio, offers private and small group coaching and can also be found facilitating workshops in professional settings on topics such as self-care, stress management, and an intuitive approach to wellness. Michelle currently serves as Vice President International for The Association of Size Diversity and Health (ASDAH) – the founding organization of the Health at Every Size ® principles. It is these principles that encompass Michelle’s professional and personal experiences. To connect with Michelle on social media, you can: click here for Facebook and search for @Define Me PT on Twitter.